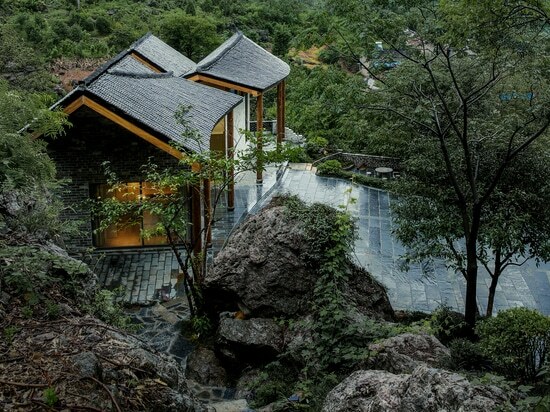 The roof and walls of the Tongling Recluse house, nestled on the side of a mountain, had been badly damaged. As part of a renovation project, the original floor plan was initially extended by two bay-like extensions to provide more space and create a connection with the rugged mountain. Interlinking the new and old walls has made it possible to connect the main interior room with the external veranda. Old walls have become part of the interior design. The external wall is made of the original tiles. In this way, part of the local culture has been retained. 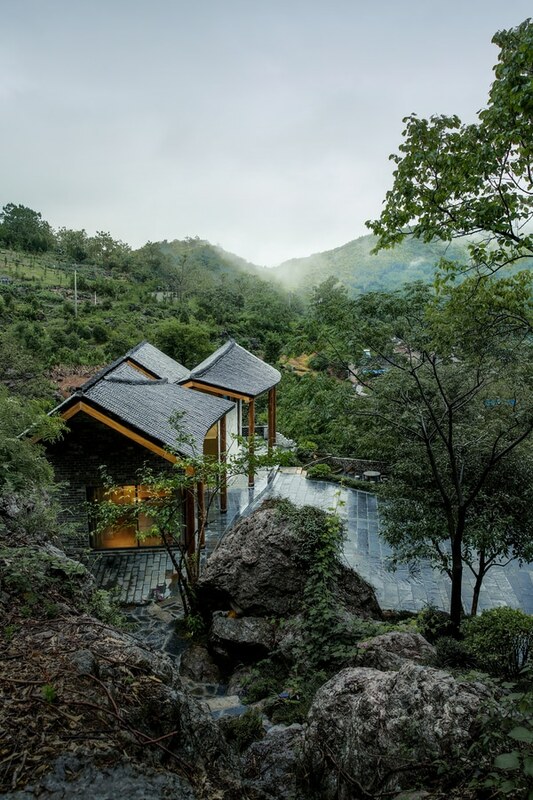 A balanced concept that skilfully combines old and new characteristics is a key feature of the design of the natural-looking Tongling Recluse house.